If enough fans make noise about wanting the return of a favorite comic book character, then it's a simple enough matter for an editor to contact their titles' writers to let them know it's time to give the fans what they want. Then, presumably, the writer will fashion a story that facilitates the return of a favorite villain, sidekick, love interest, or whomever else the fans are asking for. Unfortunately, it isn't quite as simple to bring back a character in Marvel's film adaptations, no matter how bad the fans want it. Because of the interconnected nature of the MCU, it's easy to see the cast of the various films as part of a large onscreen family. Likewise, it's easy to forget the MCU's actors have their own aspirations that may understandably lead them away from Marvel. We all love Chris Hemsworth as Thor so much that we're certain he would never tire of fumbling with prop hammers or staring at green screen and pretending it's breathtaking alien landscapes, but that doesn't make it so. Quite a few actors have left the MCU even though in some cases their characters remained. Some are unhappy with Marvel, some have fallen out of love with blockbusters altogether, some lost their spots due to nothing more mysterious than scheduling conflicts, and some are just waiting for their chance — remote as they may be — to return. Here's the real reasons these actors are no longer a part of the MCU. 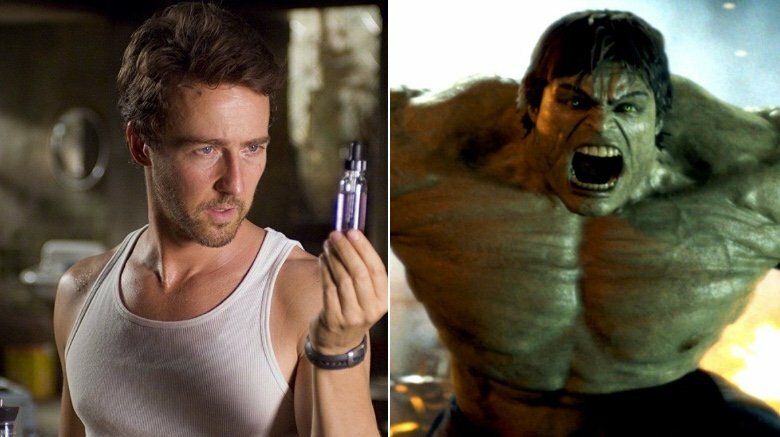 A lot of fans were surprised when Marvel Studios announced in a 2010 press release that it wouldn't ask Incredible Hulk star Edward Norton to reprise his role in Avengers, saying they wanted an actor who "embodie[d] the creativity and collaborative spirit of our other talented cast members." Norton's agent called the statement "offensive" and claimed the studio unexpectedly cut off negotiations after "several weeks of civil, uncontentious discussions." Norton changed his story over the years, telling NPR (via THR) in 2014 that he chose to leave the role because he wanted more diversity in his career. Before 2010 there was already bad blood between Norton and Marvel. Norton signed on to the lead in Incredible Hulk under the condition that he could rewrite Zak Penn's script. Marvel agreed and while Norton's added scenes were filmed, most were cut before release. Two months before Incredible Hulk's premiere, Entertainment Weekly reported Norton was refusing to do press for the film. The break with Marvel is still on Norton's mind. In July 2018 — just over a decade after Incredible Hulk's release — he took a swipe at Marvel during Comedy Central's Roast of Bruce Willis, using his turn at the podium to say, "I tried to be like [Willis]. I did a big action movie called The Incredible Hulk. You know what went wrong? I wanted a better script." Maybe when Avengers director/writer Joss Whedon wrote that "I'm always angry" line, he had Norton in mind. 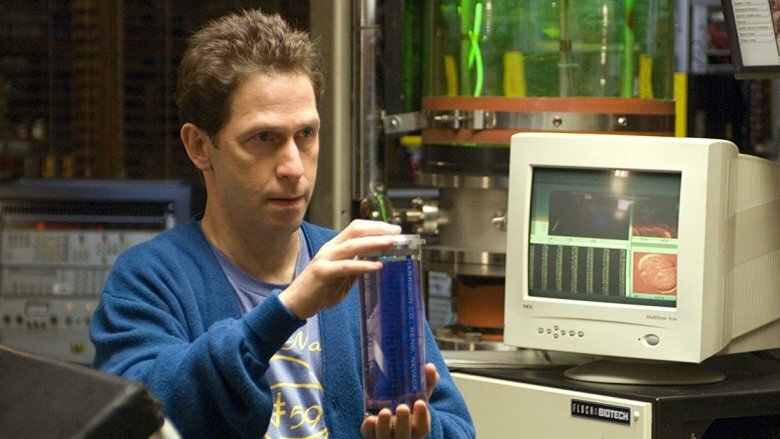 Fans of the Hulk comic were likely not surprised while watching Incredible Hulk to learn that Mr. Blue — the mystery man Bruce Banner (Ed Norton) can initially only contact through instant messages — was a scientist named Samuel Sterns (Tim Blake Nelson). In the comics, Samuel Sterns is the alter ego of Hulk's nemesis, the Leader — a villain whose exposure to gamma radiation gave him super-intelligence and psychic powers. A four-year Hulk comic storyline in the early aughts featured Bruce Banner in contact with a Mr. Blue who eventually proved to be the Leader. In 2011, Nelson told The Playlist (via CinemaBlend) that he was still under contract to do more films for Marvel — but in 2011, the chances of Marvel releasing another Hulk movie looked better than they do now. Mark Ruffalo, who took over the role from Norton, told Variety in June 2017 that another Hulk standalone "will never happen." Without a solo Hulk movie, the chances of Nelson returning for a Marvel film are slim. Still, Marvel Studios president Kevin Feige hasn't ruled it out. Talking to Crave Online, Feige said fans would be surprised to learn how many times the possibility of the Leader finally rearing his big green head in the MCU have come up, and added that it's a question of finding the right place for him. While Marvel Studios president Kevin Feige says we wouldn't believe how many times the possibility of Tim Blake Nelson's return has come up, he didn't give many specifics. On the other hand, we know a little bit more about the discussions regarding the return of a much more active Incredible Hulk villain — Emil Blonsky, a.k.a. 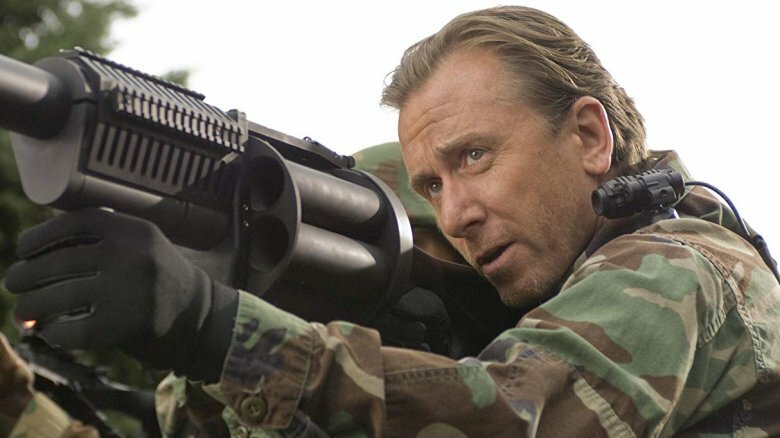 the Abomination (Tim Roth). Roth told Crave Online Marvel considered bringing him back for the sequel to Avengers. "They were going to do it," Roth said, "They were thinking, in The Avengers 2 or something … It just kind of got swept under the carpet I guess." It isn't clear from what Roth said if they were considering Abomination as the main villain, or if he would have been working with Ultron (James Spader). Roth has since said he isn't confident about returning to the MCU, and considering the unlikelihood of a Hulk sequel, his doubt is understandable. Answering fan questions on Reddit, Roth wrote, "I don't think Marvel will ever use me again, but it would be fun." If Roth were to reprise the role, one unusual irony is that his age probably wouldn't be a problem, at least not narratively. Roth was in his late 40s when Incredible Hulk hit the big screen, and the fact that his character was an expert solider in an aging body was one of Blonsky's prime motivations for allowing himself to be transformed into a monster. 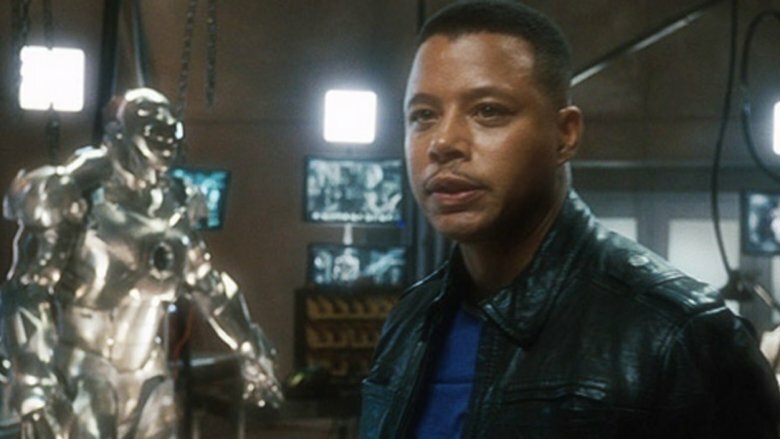 According to Terrence Howard, the reason he didn't get to reprise his role as James Rhodes in Iron Man 2 and beyond is simple — money. Howard discussed his side of things in 2013 with Andy Cohen on Watch What Happens Live, alleging that Robert Downey Jr. "took the money that was supposed to go to me and pushed me out." Howard said Marvel signed him up for three films and that when it was time to make Iron Man 2, they demanded he take an almost 90 percent pay cut. "And I called my friend," Howard added, "that I helped get the first job, and he didn't call me back for three months." In a 2015 interview with Rolling Stone, Howard clarified what he meant about helping his "friend" get the lead in Iron Man, saying he was cast before Downey on Iron Man and that he took a $1 million pay cut to help convince Downey to jump on board — though Marvel disagreed with Howard's story. Howard returned to Watch What Happens Live in 2017 and said fences were mended between him and Downey. "We just realized life is too short," Howard said. "Everybody is making money now." Howard also said Marvel threatened him with legal action after his public attacks on Downey and Marvel. When asked about his 2013 interview when he first accused Downey of pushing him out, Howard said, "I shouldn't have gotten drunk. It's my fault … I ran my mouth." 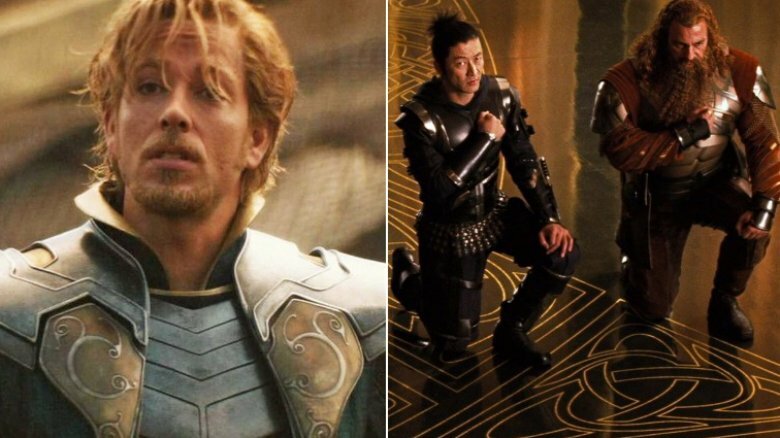 Fandral of the Warriors Three wasn't the most pivotal character in 2011's Thor, so it's understandable if you didn't notice an entirely different actor took over the role in 2013's Thor: The Dark World. 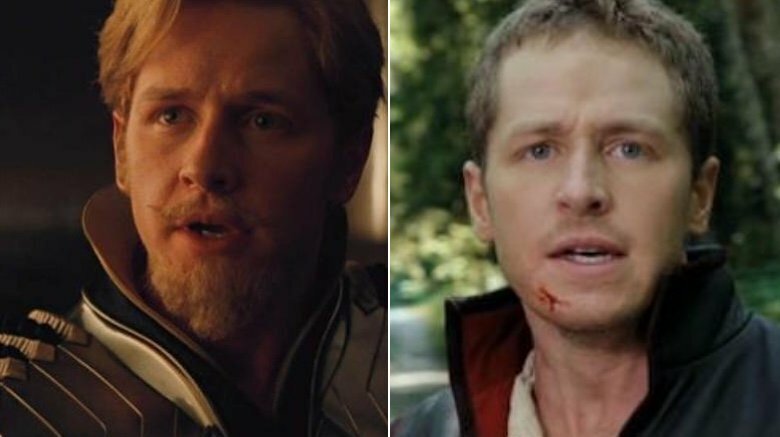 Josh Dallas did an excellent job playing the swashbuckling ladies' man in Thor and comic book purists will tell you that of all the Warriors Three, he was the one whose physical portrayal was the most faithful to that of the comics. Dallas was replaced by Zachary Levi in Thor's two sequels, but the change had nothing to with a lack of confidence in the actor's skill or talent, any behind-the-scenes drama, or any contentious negotiations. It was merely a matter of scheduling. Shortly before Thor's theatrical release, Dallas appeared on ABC's Once Upon a Time as Prince Charming/David Nolan. he also originally planned to appear in Thor: The Dark World, but the shooting schedule conflicted with Once Upon a Time. Dallas told Entertainment Weekly in 2012 he was "bummed" about the situation, but it couldn't be helped. "I had such a great experience and great time making the first film and was really excited about coming back," he insisted. "I love Marvel. I wish them all the best." The following year, Dallas told Digital Spy that reprising the role would've meant flying back and forth between the Thor: The Dark World production in London and the Once Upon a Time set in Vancouver, which understandably wasn't something he wanted to do. When Entertainment Weekly asked Chris Hemsworth and Kevin Feige about Jane Foster's absence in 2017's Thor: Ragnarok, their answers focused on narrative reasons. Hemsworth explained that Thor and Foster had broken up and that his character was enjoying being "a solo cowboy." Feige added that with Tessa Thompson's Valkyrie, the filmmakers were matching Thor with a warrior who was "much more his equal and in many ways his superior." But a much earlier story suggested there was a real-world reason for the "breakup." According to a report from THR, bad blood started flowing between Portman and Marvel as early as 2011 over the firing of director Patty Jenkins from Thor: The Dark World. The report, citing unnamed sources, said Portman was on the fence about participating in the Thor sequel because she wanted to spend more time with her son, who was only 6 months old at the time. The fact that Jenkins' involvement in Thor: The Dark World would make her the first woman to direct such a big superhero film was what, the THR story claims, convinced Portman to sign on. THR's sources said once Jenkins was fired, Portman was livid with Marvel, but contractually obligated to continue. 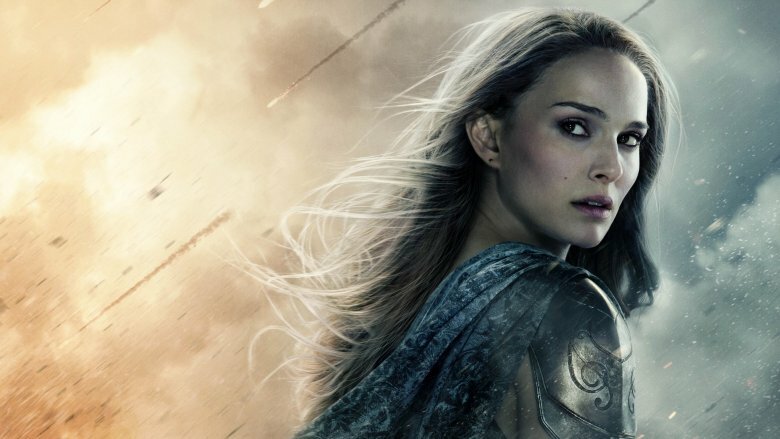 Whether or not the story is true, publicly Portman has said she's open to reprising her role as Jane Foster. Talking Screen Rant in early 2018, she was asked about the possibility and said, "I'm completely open to everything. But I have no news about that." Just as he did when asked about Jane Foster's absence, when questioned about Lady Sif's (Jaimie Alexander) absence in Thor: Ragnarok, Marvel Studio president Kevin Feige fell back on narrative reasons. He explained that Loki (Tom Hiddleston) — disguised as Odin (Anthony Hopkins) — would want Thor's closest allies as far away from him as possible so, just as he banished Heimdall (Idris Elba), Loki got rid of Sif. The real reason was a scheduling conflict. 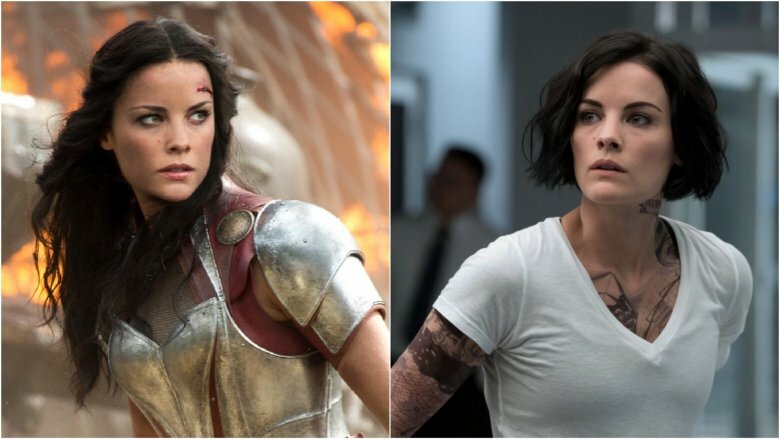 Like Josh Dallas, whose commitment to Once Upon a Time stopped him from returning as Fandral, Alexander's role as Jane Doe on NBC's Blindspot got in the way of her returning as warrior woman Sif. Unlike Dallas, Alexander said Marvel didn't work very hard to try to make things work. "I was hoping for more of a notice from [the studio] so I could make it work, but it was a short notice thing," Alexander told Yahoo. "They called and said, 'Hey, by the way, would you come do this?' I said there is no way I can make that work that fast." The good news is that Feige's story explanation leaves the door open for Sif's return. If she wasn't on Asgard when Surtur destroyed it in Thor: Ragnarok and she wasn't on the refugee ship when Thanos destroyed that in Avengers: Infinity War, then she could still be alive out there somewhere; hoping for a more forgiving schedule. 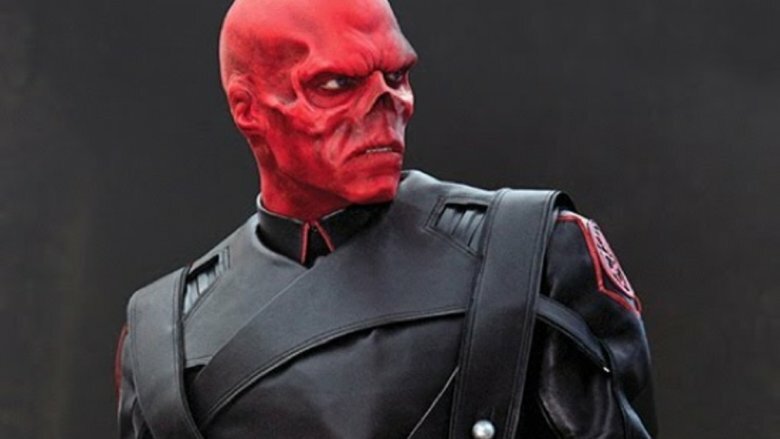 While The Red Skull does appear in Avengers: Infinity War, that wasn't Hugo Weaving. Ross Marquand (best known as Aaron on AMC's The Walking Dead) replaced Weaving in the third Avengers film. While Weaving signed a multi-picture deal with Marvel Studios, he decided he didn't want to return after Captain America: The First Avenger, and told Collider he wasn't concerned about Marvel muscling him into fulfilling his contract. "I would be obliged to, if they forced me to," Weaving said, "but they wouldn't want to force someone to do it, if they didn't want to." Unlike Terrence Howard and Natalie Portman, there aren't any reports of Weaving harboring harsh feelings toward Marvel; rather, he wanted to turn his attention away from blockbusters. "I think I've done my dash with that sort of film," Weaving told Collider. "It was good to do it and try it out, but to be honest, it's not the sort of film I seek out and am excited by." A quick glance at Weaving's IMDb page shows Weaving has remained true to his word. Since Captain America: The First Avenger, the only blockbuster films Weaving has been a part of were his reprisals as the elf Elrond in the first and third Hobbit movies; his screen time in those films was relatively short, and likely didn't require the kind of time and energy playing Red Skull demanded. While you'd be hard-pressed to find many fans complaining about Josh Brolin's casting as Thanos, he wasn't the first guy to play the Mad Titan. 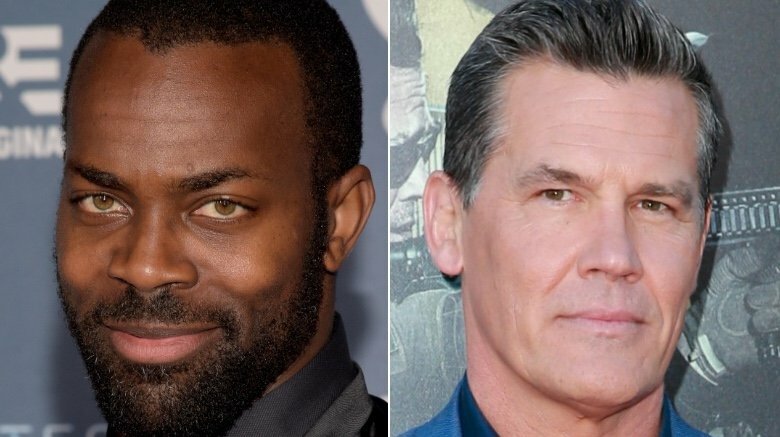 Brolin first played Thanos in 2014's Guardians of the Galaxy, but it wasn't Brolin giving us that sinister profile in the mid-credits scene of 2012's Avengers — that was Damion Poitier, best known as Duprez in HBO's True Blood. Poitier told Geeks WorldWide (via ComicBookMovie) that he didn't know he'd been cast as Thanos until he was sitting in the make-up chair. "I thought I was Kl'rt," Poitier said, referring to an alien villain better known as Super Skrull. "I thought I was going to be Super Skrull, because the whole rumor was that the Skrulls were going to be in Avengers." There aren't any reports of Marvel being unhappy with Poitier's performance. More likely it wasn't a question of Poitier being the wrong choice, but of Brolin being so right. "You look at [Brolin's] face and the performance he gives," Kevin Feige told Collider, "he could be Thanos without any effects. He has that kind of face and that kind of gravitas to it." Though he never reprised his role as Thanos, Avengers wasn't Poitier's last appearance in the MCU. He had a small speaking role in Captain America: Civil War as one of Crossbones' henchmen — the one who threatens to drop a vial filled with a biological weapon before Black Widow (Scarlett Johansson) takes him out. While 2017's Thor: Ragnarok was unquestionably a hit, one event in the film left fans furious. When Hela (Cate Blanchett) arrives on Asgard, she immediately dispatches two of the famous Warriors Three: Volstagg (Ray Stevenson) and Fandral (Zachary Levi). Their demises are dealt with swiftly and with little warning, and they are never mentioned again in the film. Hogun the Grim (Tadanobu Asano) gets at least a few lines of dialogue and a bit of a tussle with Hela before she offs him. ScreenRant reported that Kevin Feige addressed the reason why Asano, Levi, and Stevenson won't be seen again in the MCU in a November 2017 junket press conference. Feige said the filmmakers wanted to make sure the audience saw Hela as a real threat. "[The Warriors Three] had noble ends, mainly to serve the arrival of Hela," Feige said. The Marvel Studios president went on to call Hela "the biggest villain in the MCU," pointing out how quickly and easily she begins her campaign of destruction in Asgard. The following month at the Heroes and Villains Fan fest in San Jose, California, Levi admitted to fans that he was disappointed not only with leaving the MCU, but that Fandral's final words were left on the cutting room floor. According to Levi, the way the scene was originally shot, the swashbuckling ladies' man charged Hela crying "For Asgard!" Paltrow thinks she's getting "a little old"
Gwyneth Paltrow had a cameo as Pepper Potts in the final few minutes of 2017's Spider-Man: Homecoming. Though brief, it was an important moment, as she had been M.I.A. since 2013's Iron Man 3, and the future of the character's relationship with Tony Stark (Robert Downey Jr.) came into question in 2016's Captain America: Civil War. In September 2018, SuperBroMovies reported that Paltrow would reprise the role of Pepper Potts once more in 2019's Spider-Man: Far from Home, but we learned in February 2019 that wasn't the case. Paltrow told Variety that the highly anticipated Avengers: Endgame — scheduled for release three months before Spider-Man: Far from Home — will be her final appearance in Marvel's Cinematic Universe. Paltrow didn't give too in-depth a reason for her departure, saying only, "I mean, I'm a bit old to be in the suit and all that at this point." While she didn't say much, there's been speculation that what Paltrow did say may have revealed quite a bit about Endgame. There was already speculation that Paltrow would suit up as the ironclad hero Rescue to save Stark from dying in deep space, and her quote about being in "the suit" may have been an unintentional confirmation. 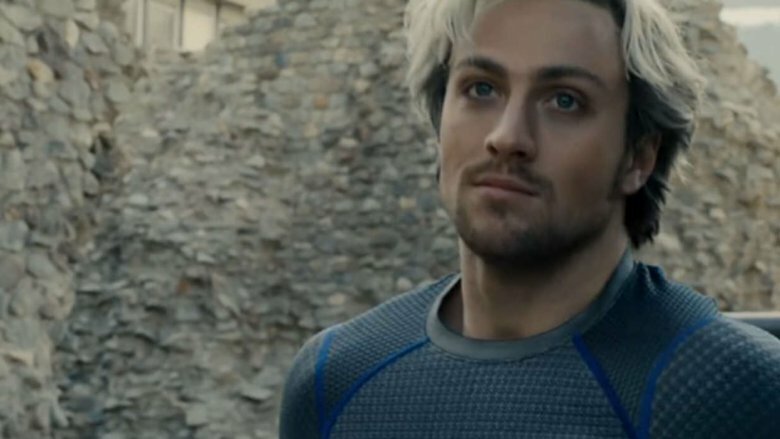 Aaron Taylor-Johnson's Quicksilver didn't survive 2015's Avengers: Age of Ultron. The speedster sacrificed himself to save Hawkeye (Jeremy Renner) and a Sokovian boy from Ultron (James Spader) in the film's final battle. His death came as a surprise to a lot of fans who were quick to speculate that the motivation to kill the character had something to do with Evan Peters being introduced as Quicksilver in the previous year's X-Men: Days of Future Past — long before Disney acquired Fox. Speaking to MTV in May 2015, Kevin Feige said Fox's Quicksilver had nothing to do with the decision. "[Quicksilver's death] adds stakes to the ending of the film… to show repercussions to Ultron's actions, and also in a way to solidify Scarlet Witch's character, and Wanda's arc in the movie and where we'll see her in the next films." Feige went on to say Quicksilver died in "every draft" of the script. In 2016, while promoting Nocturnal Animals, Taylor-Johnson echoed Feige and said Age of Ultron writer/director Joss Whedon was "lulling the audience into a false sense of security," and playing with the widespread fan belief that it would be Hawkeye who didn't survive the film. Taylor-Johnson said something a little different while talking to CinemaBlend in 2015. While he did say the plan always was for Quicksilver to die, he also admitted there was a costume designed for him if his character were to survive and that it was "really cool."